Congratulations on your new project with 1up! The purpose of these forms is to help you gather and submit all the materials required to build your site as quickly as possible. 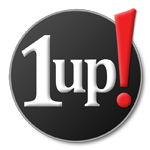 If you're upgrading from an earlier version of the 1up! News!Site, it helps us all compare notes and cover bases to ensure the site is all that everyone expects. 1up! wants to quickly build your site to help you monetize your online effort. Time and money are tight. 1up! has provided a set number of hours at not cost to bring together your site, so it is best to get moving quickly, and to help you consider your site in both the short and long-term. For the short-term 1up! needs one mockup to develop your initial site. After the submission of your mockup, you should think of the long-term development of your site and save all those additional ideas for later implementation - after your site has launched and is making money. A site launch may take six to eight weeks. Any items which come after the submission of your mockup - if you insist the new items be worked into the launch/development schedule - will likely reset the clock of the launch back to day one. This will be a problem if you have announced the launch time and have started marketing the site. It may also be a problem as 1up! has scheduled your work into our development calendar, and by having to pull you out and place you back in the timeline with the new items, the time to completion may have to be extended due to the work already on the calendar. By using these forms you are agreeing that items submitted after your first mockup will be saved for post launch (one to three months after the launch of your site). If you have any questions there is a link at the bottom of this page which will take you to a form through which you may ask your Launch Coordinator a question.